Some have suggested that the Bronco’s demise was hastened by the fallout from the O.J. trial. Twenty years ago today, ex-NFL linebacker Al “A.C.” Cowlings drove his friend and onetime running back Orenthal James “O.J.” Simpson on a parade lap of the Los Angeles highway system and onto an ignoble page of the history books. If you’re in your late 20s or older, or a fastidious young student of 1990s American history, you’re absolutely aware that Al and O.J.’s steed for the ‘chase’ was a white Ford Bronco. The white Ford Bronco, even. The 1993 model-year SUV was only three years removed from the end of a 30-year run for the nameplate, one that’s been embossed onto pop culture from June 17, 1994 forward. I remember it sourly, as one of the basketball fans that was forced to watch the NBA finals in a tiny box in the corner of a 27-inch set while NBC ‘s Tom Brokaw followed some 20 police cars, following the Bronco, at about 35 miles per hour. Oh, and in standard definition no less… the ’90s were terrible. The fallout from The Chase (sorry, NASCAR) is evident from even a cursory investigation, and reaches closer to the present than you might expect. In addition to dominating the headlines from that day in June to the contentious verdict in the fall of 1995, the chase inspired an instantiation of the ESPN documentary series 30 For 30, echoed into countless late-night and sitcom punch lines, and inadvertently helping to blight populate our TV screens with the Kardashian clan (Robert Kardashian was part of The Juice’s star legal team). Some have even suggested that the Bronco’s demise was hastened by the fallout from the O.J. trial – though Ford talking heads have (wisely) denied that the two had any concurrence… more on that in a bit. 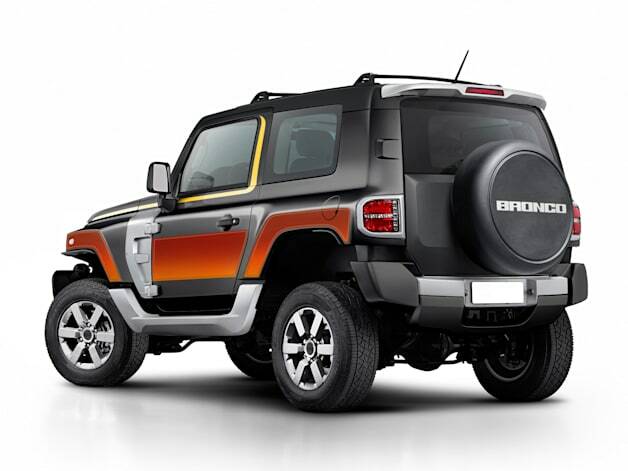 The history and future of the Ford Bronco originally appeared on Autoblog on Tue, 17 Jun 2014 09:57:00 EST. Please see our terms for use of feeds.